Best of Raspberry Pi for me is saving resources on tasks that require some time to process: Modify massively thousands of files or download torrents are some of them. 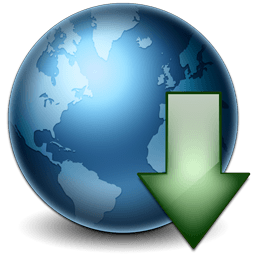 Today we are going to download/upload files from sharing sites such as MEGA, 4shared or Mediafire in Raspbian or Debian based with plowshare. Plowshare is a command line tool (CLI) to upload/download files from sharing websites such as MEGA, Uploaded or FreakShare. Plowshare supports around 44+ different hosters. A small footprint (few shell scripts). No java, no python! Run fast on embedded devices! NOTE: If you have premium account, do not install sxiv package. You need the X because Captcha show you a picture. There are packages that convert the image in ASCII format to be used directly from the terminal such as aview, but I have not managed to resolve none with this method. 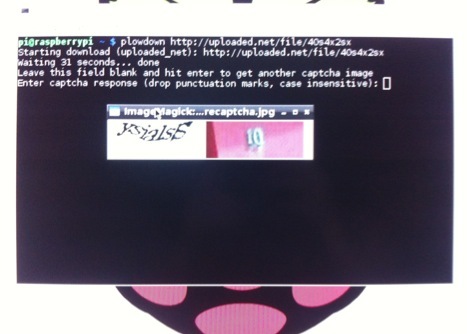 From the desktop you can see the Captcha and solve it. If you have premium account you don't need enter into the desktop. You can download directly from a console.